Wednesday 8th February 2012, 7:00 pm. Speakers: Martha Lester-Cribb of Pass IT On, Sandy Kerr of Pass IT On and UcanDoIT and Dr Alison Crerar of IT Can Help (ITCH). Martha has worked as a carer for people with disabilities and with the University of Stirling researching the problems faced by people who have severe communication difficulties. She is currently Befriending Network Scotland’s Quality Officer where she has produced their Code of Practice and national quality award. In this role she is currently undertaking research into well-being as an Exchange Fellow with the School of Clinical Sciences & Community Health at the University of Edinburgh. She also finds time to jointly manage Pass IT On which she co-founded. Sandy is one of the founders and managers of Pass IT On and also spends 1 day a week working for UcanDoIT coordinating the tutors in Scotland. 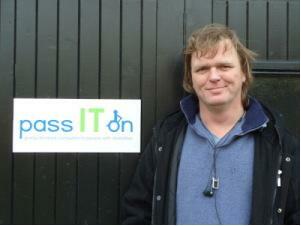 Sandy has 35 years experience in IT and was previously the IT Coordinator for Leonard Cheshire Services Scotland. Prior to working in the voluntary sector, he was a computer operator and programmer for Ferranti. Dr Alison Crerar spent most of her career in the School of Computing at Napier University. A specialist in Human-Computer Interaction (HCI), her research interests focussed on interface design and usability evaluation with an emphasis on applications for elderly and disabled users. 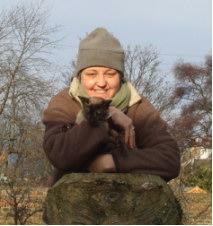 Alison served for 12 years on the Committee of BCS Edinburgh Branch. In 1999 she took on the role of IT Can Help National Organiser in Scotland and is an active Member of the Board of Management. Alison is an Expert Witness in IT and disability.